Our dehydrator gets used twice a month, but only for one thing. 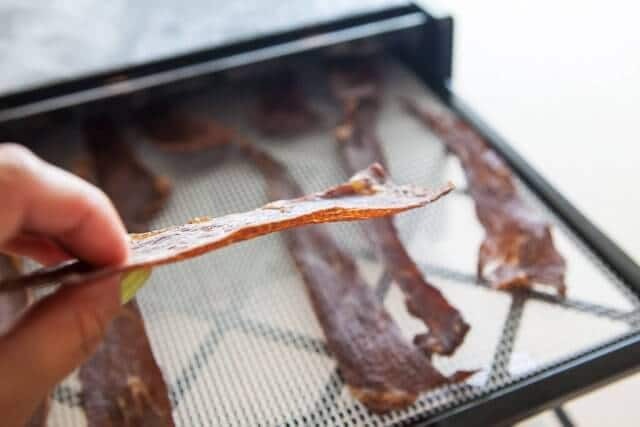 Beef jerky (check out our recipe for Korean BBQ Beef Jerky). The snack of choice in our house is fruit or jerky. 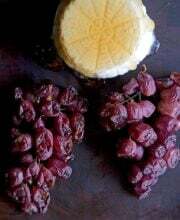 Both are easy to eat, easy to transport in my bag and also healthy. Our $80 Nesco dehydrator is something we bought a couple of years ago, thinking that all dehydrators are the same. Trays + hot air. I was proven wrong when we tested out the Excalibur Dehydrator. But, at a price difference of over $100, is the Excalibur worth it? We made several batches of beef jerky to find out. Oops, well, first, we had to get the Excalibur unit replaced. The one sent did not work correctly – the fan was fine, but there was no heat. We called their customer service, left a message. The next day, we didn’t hear back, so I called again. This time I got a live person, who was very apologetic and friendly. She took care of our problem right away, and sent us a replacement unit. She offered 3-day shipment for our troubles. As promised, a new unit arrived. We packed up the defective unit (it was the fuse) and shipped it back to Excalibur, postage taken care of. The Excalibur’s fan/heating element is mounted on the back of the unit. The Nesco’s fan/heating is in the lid itself, which sits on top of all of the trays. The Excalibur has a door that hangs loosely, making it very convenient to open, insert/remove trays. These two things makes the Excalibur superior – the fan/heater are still working and drying the food, even if you are rearranging the trays. I can do this with one clean hand. With the Nesco, you have to lift and remove the lid/fan/heater off the trays first. Rearranging the trays requires two clean hands (normally, if I’m dehydrating beef jerky, one hand is touching raw meat). The Excalibur includes mesh for each tray. The food lays on top of the mesh. This makes it so easy to clean, just pop the mesh in the dishwasher. The plastic trays just need a little soapy water to clean. The Nesco only comes with 2 mesh trays. Their round rack is very difficult to clean, and too tall for dishwasher to fit in all 5 trays at once. 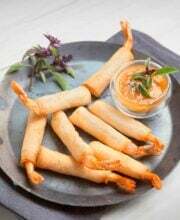 Food sticks to the plastic tray, and you need to soak them in hot, soapy water before the food particles scrub off. Both units have different temperature settings. But the Excalibur also has a timer that you can set. Nesco does not have a timer. 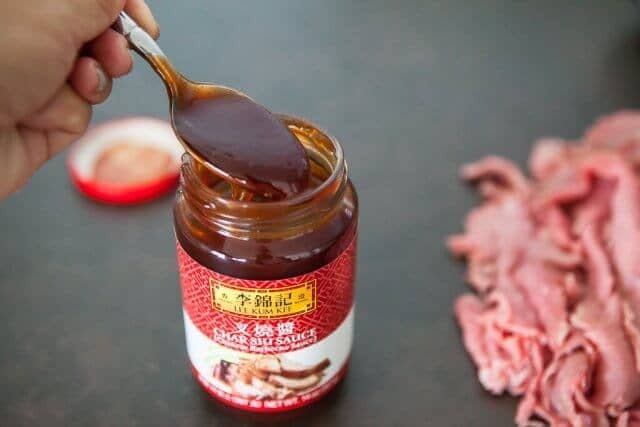 Quick time-out to show you how we make Chinese Char Siu Beef Jerky. 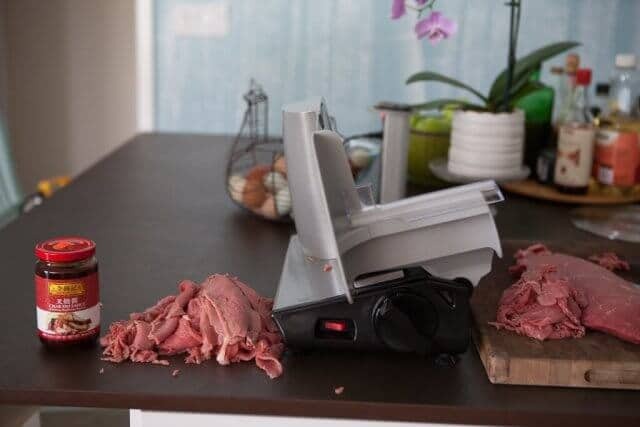 We have a meat/deli slicer by Kalorik that use to get the exact thickness of beef that we like. London Broil is our meat of choice, as it is nice and lean, and the perfect shape for slicing for jerky. 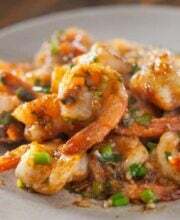 We use prepared Char Siu (Chinese BBQ) sauce, thin it out with just a bit of water. Marinate the sliced beef for 15 minutes, then lay on the trays to dehydrate. 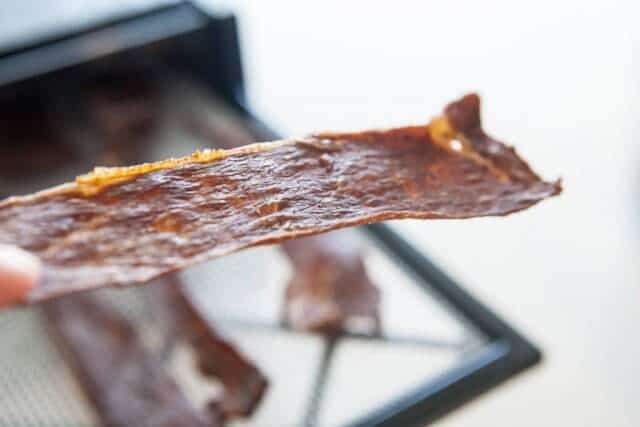 We love our jerky sliced thin, so that it’s almost like the texture of crispy chips. See how thin they are? Another plus for the Excalibur – the trays are rectangular (Nesco is round with a hole in the middle). For making beef jerky, this makes it so much easier to lay and arrange the beef. Previously, with the Nesco, we were having difficulty arranging long, thin rectangles of beef on a donut-shaped tray. We were able to fit much more jerky on the Excalibur. The Excalibur is big. You’ll need more storage space for the unit. Performance-wise, they are about the same. Beef jerky dried just as well in both units, and in nearly same amount of time, despite different wattages. Is the extra $124 worth the price for an Excalibur? For our purposes, yes. We use our dehydrator constantly, and I like the 10-year warranty. 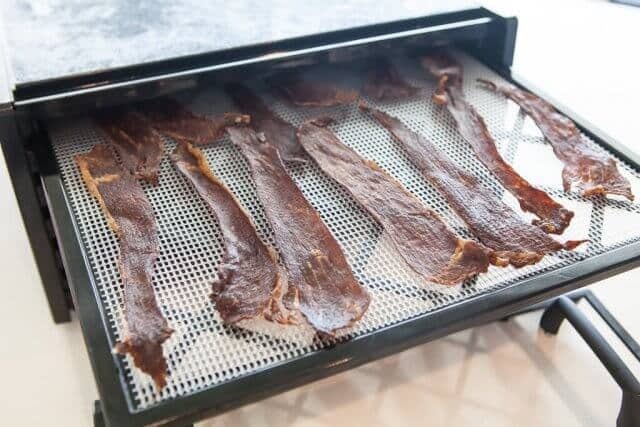 Plus, the shape and size of the trays make it easy for beef jerky. 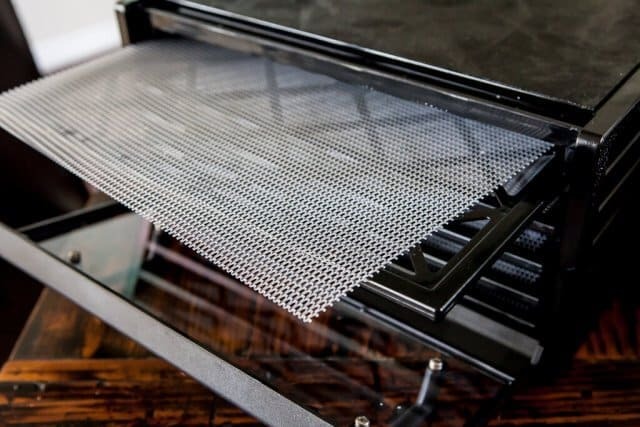 The cleanup is so simple – the mesh goes into the dishwasher and then just a few minutes washing the trays. The Nesco used to take us at least 20 minutes of hand-scrubbing to clean each plastic tray to remove the bits of beef jerky stuck to the plastic. 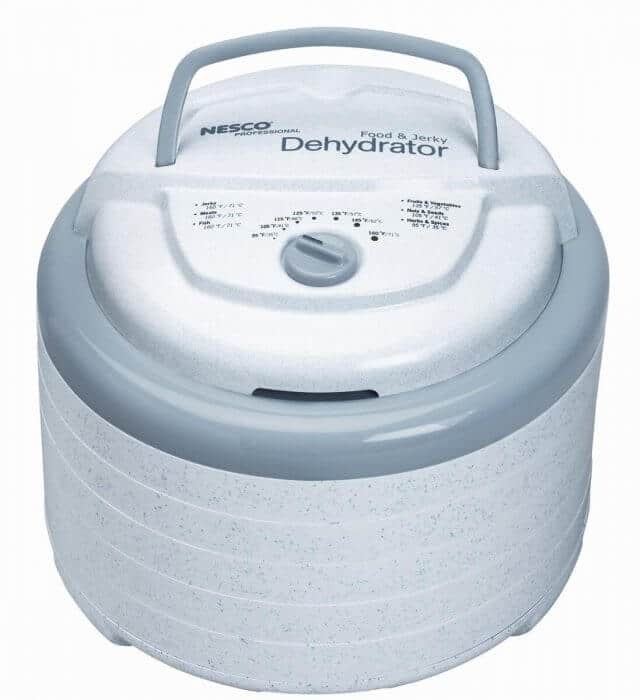 If you are only using the dehydrator a couple times a year, then I would advise the cheaper Nesco. It’s easier to store, saves $120 and dehydrates just as well as the Excalibur. 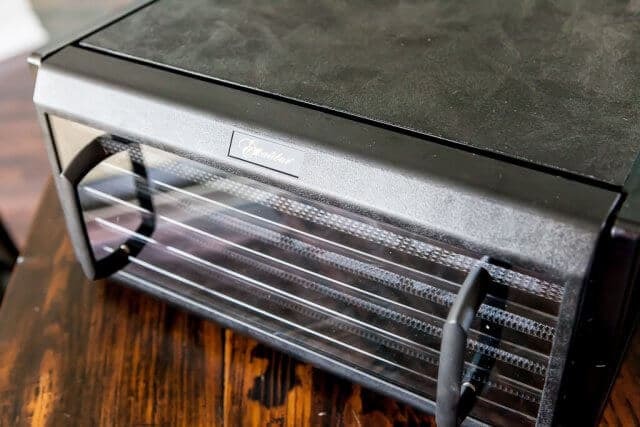 We’re giving away one Excalibur 5-Tray Dehydrator. Sponsored by Steamy Kitchen. I don’t have Facebook but still wanted to tell you that I love your site. It’s so informative and I enjoy coming to it every day. I love everything you do. Thank you for your input. How long do you think it would take to dehydrate tomatoes? 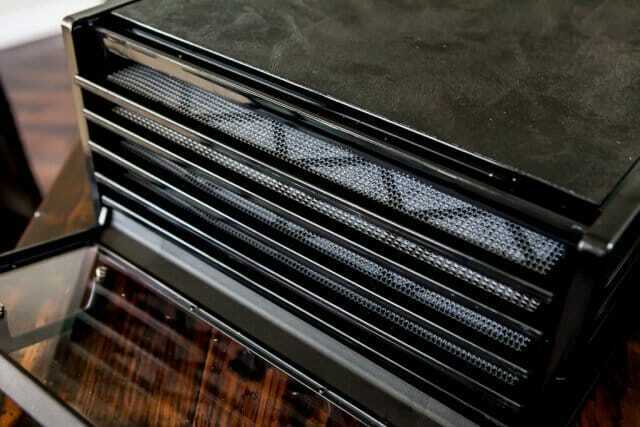 Anna – It works great with any fruits/veg – probably the best dehydrator out on the market! I LOVE all your giveaways, but I would LOVE the Excaliber Dehydrator!!!! I have an autoimmune disease and am on a completely new nutritional lifestyle for the past 2 years-NO GLUTEN, DAIRY, SOY, SUGARS, EGGS, (all of these are inflammatory). No refined foods. I’d love to dehydrate tomatoes to make my own sundries tomatoes! I guess if I don’t win it, I’ll have to buy it! Anyway, thanks for your site and giveaways! wow! This machine is awesome! I really would enjoy one! 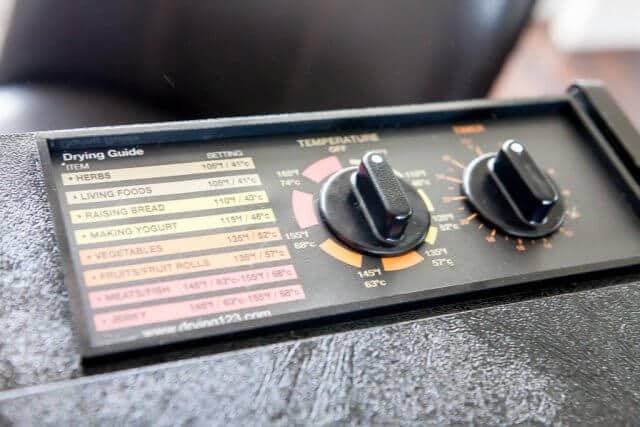 This dehydrator is by far the best one available. I have a small round dehydrator (Ronco, I think). It has only a heating coil, no fan. It has only 4 trays and takes about 2 days to dry anything. Either dehydrator you mentioned would be an enormous step up for me. I appreciate that, even though you goofed, you’re stepping up and taking responsibility. A lot of places — esp. giant corporations that could totally, not even notice a couple c-notes — would just say, we changed the situation, maybe without even an explanation. Good for you! Your boys are fortunate to have guidance from people who teach by example.